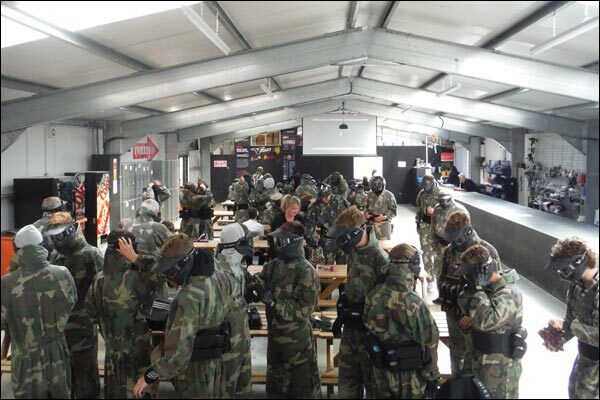 On arrival at Gunsmoke Paintball at the pre-designated time, you sign in and complete your paperwork and then you are issued with your goggles, overalls, paintballs, pots and harness. 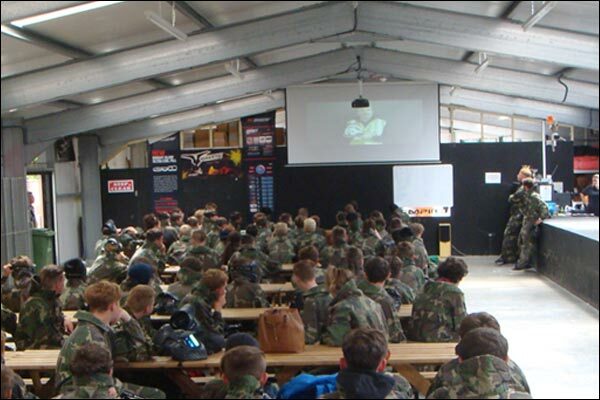 The safety briefing then follows which runs through all the things you need to know for a safe and enjoyable day playing paintball. This is followed with the opportunity to ask any questions you might have before being allocated into 2 teams. On exiting the safe area, all players are directed to the marker storage area where they can collect their marker for the game. 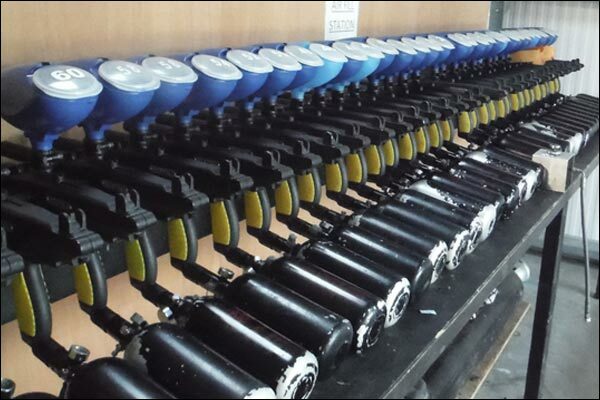 All markers are kept in working order and ready for use. In the unlikely event of any problems, there are spare markers to hand. 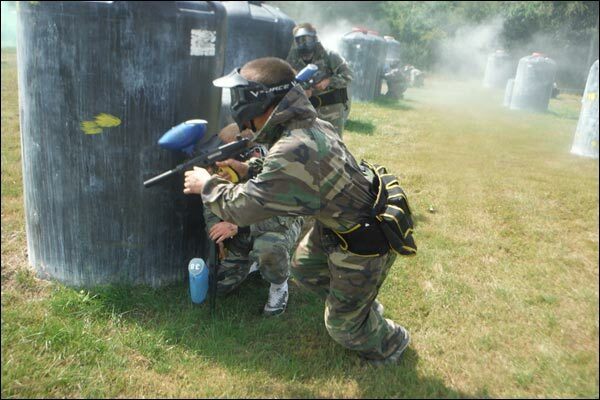 All paintball markers are kept outside of the safe area as we have a no marker policy within the safe area. 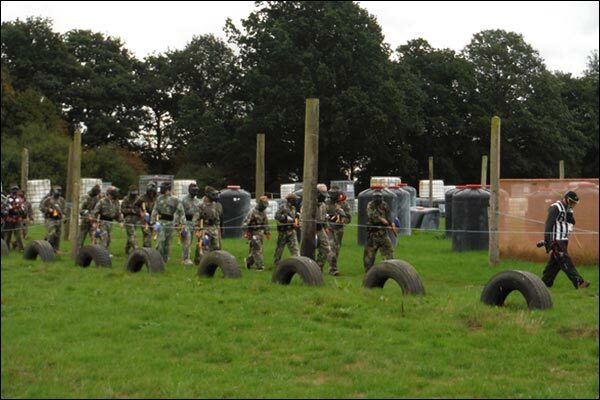 All markers are collected from here on the way out to the games and placed here on the way back to the safe area after your game. 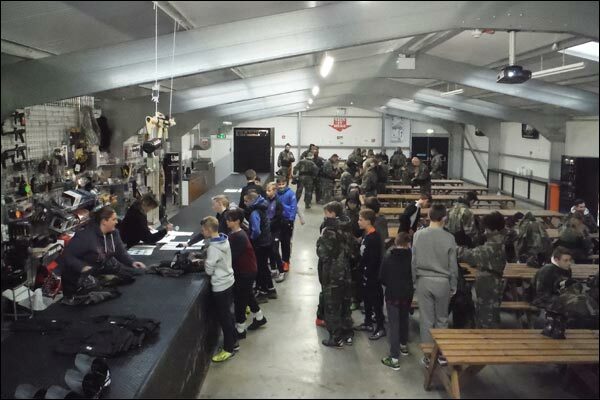 After collecting your paintball marker, you will receive a short briefing on using the marker and the opportunity to fire it on the shooting range before heading out on the first game. 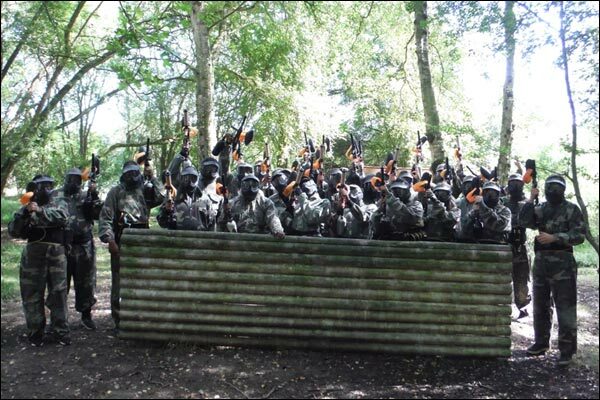 Players are then led out into the paintball fields where the game is explained and play can now begin. 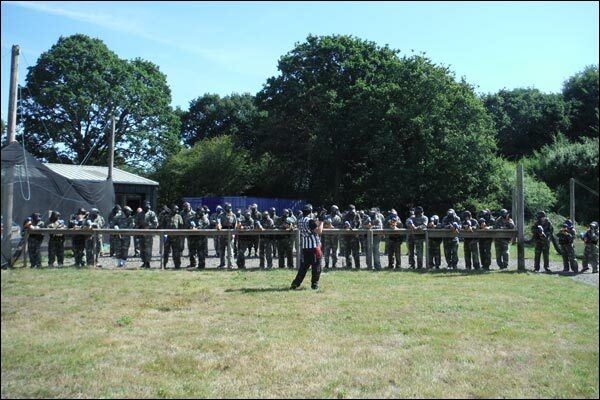 At lunchtime both teams will be in the safe area where you can have food and refreshments and prepare yourself for the afternoon’s games. 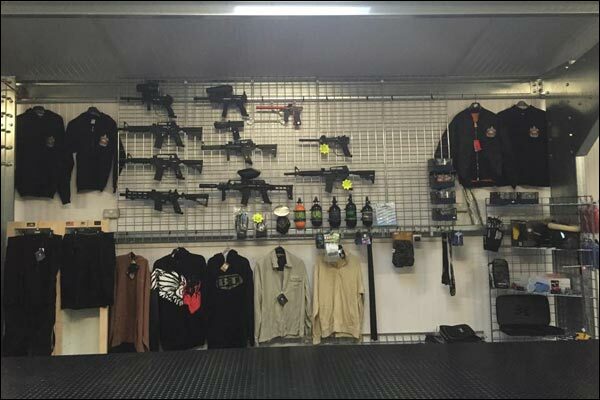 We also have an on site paintball shop so if there is anything you want in terms of paintball markers, accessories or paintball kit then please ask. After lunch games recommence and more games are played until it’s time to go home. 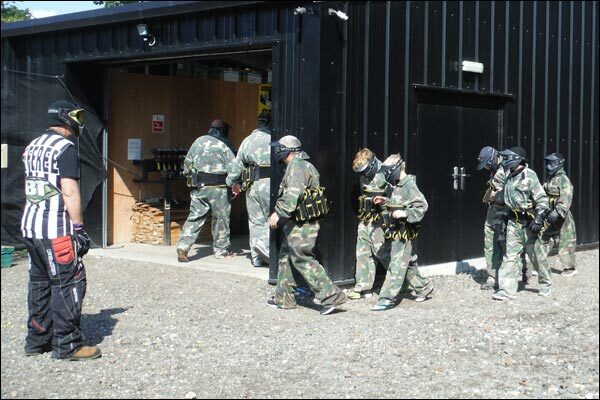 If you have any questions before you book, please take a look at our Frequently Asked Questions page and also please do not hesitate to contact Julie on 07790 143118 or email Julie@gunsmoke-paintball.co.uk.